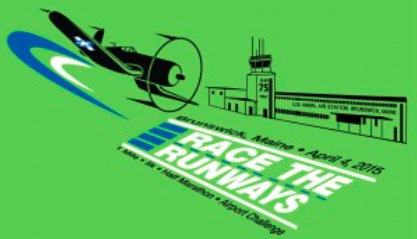 A few weeks ago my friend, Gretchen, convinced me to do Race the Runways. I believe this was the 5th year of the race. It's held at the old Brunswick Naval Air Station, where both of my parents were employed. 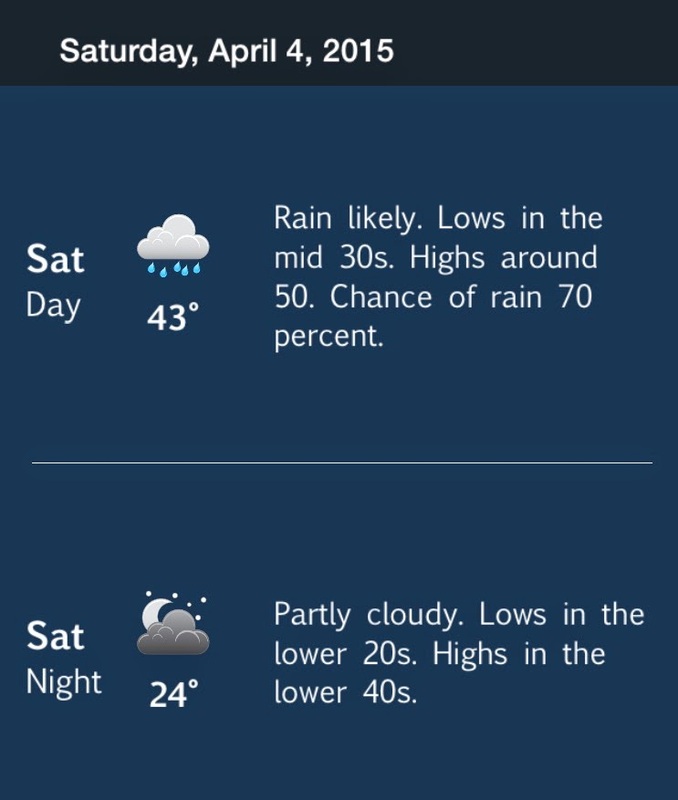 I actually ran this race the inaugural year and the year after that, then I took the last two years off...mostly because of the weather conditions that always happen during that race! Mostly it's the wind. And how can there not be wind on a runway? It can be absolutely crazy and exhausting. BUT, the course is flat. Seriously flat. I believe it's the only place in Maine that is flat? I'm kidding. But not really. 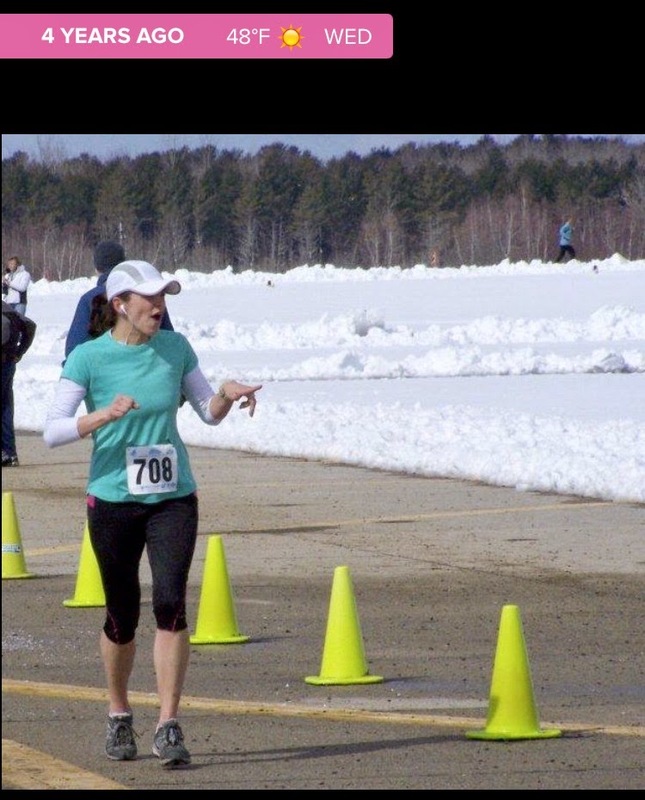 When Gretchen convinced me to do this race, I was planning on my spring marathon to be Maine Coast Marathon, which is May 10th. 5 weeks prior to the goal race. But then that whole "I'm running BOSTON thing happened" and my window between the Race the Runways Half and marathon became 2 weeks. There was a lot of banter on Facebook about the weather and how much we hate it, and how much I wanted to just run on a treadmill instead, and when will spring ever arrive. But in the end, I still went. I was super grumpy about it too. Especially when I woke up at 3 am and it was pouring and 36F out there. Grrrr. Running in the rain is one thing. But running in the rain near freezing temps is hell. I think they hate me..
As the time came closer to leave, the rain slowed down to a mist. A mist I could handle. I also noticed the temp rising a little. I thought it would maybe not as bad. 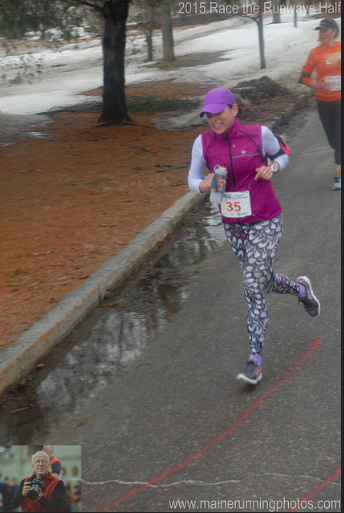 I grabbed several pairs of Spandits bottoms, 3 pairs of shoes, lots of warm things for afterwards, Headsweats cap, jacket and a running vest, along with gum, Honey Stinger, Nuun, and SOS Recovery. The plan for this race was to do the 14.1 Airport Challenge, which included a 1 mile race then the half marathon. I had convinced Carrie and Gretchen we were going to take it easy. And they were okay with it. 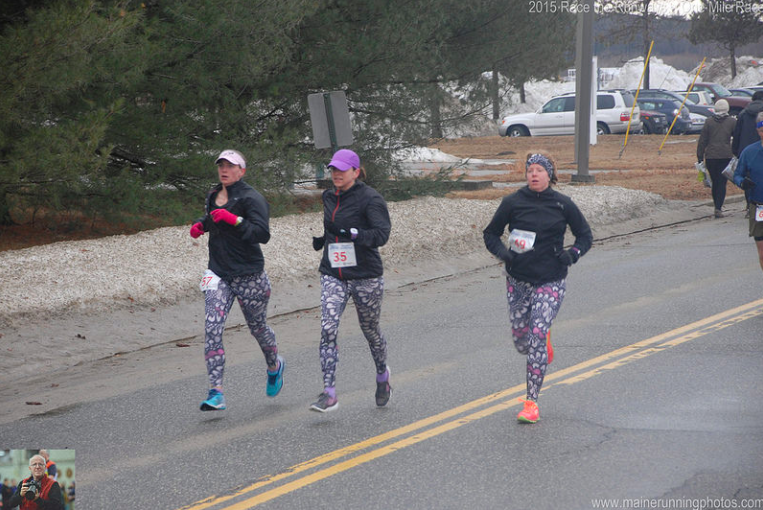 We had found out a great running friend, Jamie (a super fast BQ gal I adore) was going to be pacing the 2:00 group. That would could handle. But then just before the mile, I announced to the girls I thought we should run the mile race a little hard....just to get some speed. Not necessarily go all out, but just push it a little. Then this little girl lined up in front of me....so when the starting sound went off, I darted off to the side as fast as I could because I didn't want to get in anybody's way or trample that poor little girl. But I didn't slow down. At first. As I started to gasp for my breath, I peaked at my Garmin and saw 6:06! Who the heck was I kidding? So I started to slow....and only a few moments later, Carrie and Gretchen caught up and made some smartass comments to me and we hit a pretty good pace. As we came back to where we thought the finish line was, we quickly realized that we had just a bit further to go. Perhaps a lot of swears came out of our mouths. We are so awful. But we pushed on and I finished with a 7:08 mile time. Since I've never officially raced a 1 mile race before, I now have a new 1 mile PR. New goal: beat that. During the 1 mile, I realized my jacket was going to be too warm, so I went back to the car to change things up. It was then that Carrie announced to me that I came in first for our age group and she came in 2nd. Gretchen is far younger than us. I wasn't expecting that! We got ourselves ready for the half and started heading for the starting area - of course after chatting with everyone we knew and meeting some great instagram friends for the first time! We found Jamie holding the 2:00 pacer sign and made ourselves comfortable next to her. I forgot to mention that it's not raining at all and the temperature was about 40 and the wind wasn't bad either. Dare I say it was the best weather ever I've witnessed at Race the Runways? There is hope! The race started after some announcements and we just held an easy pace. We were with Jamie for quite a bit, just chatting and talking about training, marathons, and all that fun runner stuff. Because this was a no stress "race", when Gretchen had to use to ports-potty, we stopped and waited. When I had to tie my shoe, they stopped. It actually got quite hot for a bit (because I maybe had too many layers on), but then the wind kicked in for a couple of miles. And there was sun! For a few moments. But there was sun. They were hard. But it wasn't like I was shocked by the wind. It's going to happen! We finished strong and with happy legs (the goal) just under 2 hours. Nice! I'm happy there were pacers at this race. Actually, this was the first time I've ever run a race with pacers. It was a nice touch. 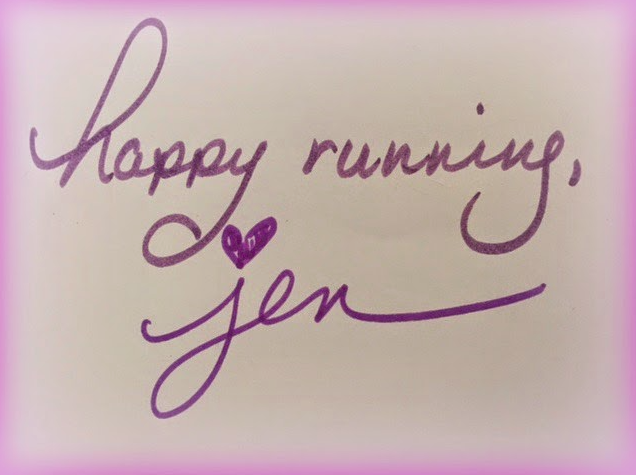 What do I love about Race the Runways? It takes place where my living in Maine all began...over 25 years ago, when my dad decided to take a job on the base and we moved from Pennsylvania to Maine. It's where my mom eventually started to work. It's where I used to go dancing with my high school friends when I'd come home from college. It's where I'd go get my mom at lunch and take her out to eat. So many happy memories surrounding the base, that is why I love going back. 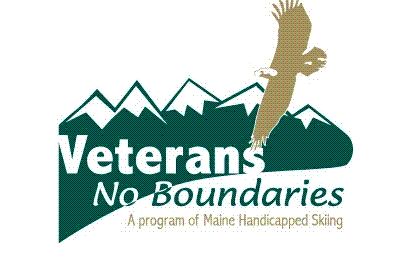 I also love that it's a locally run race and the benefactor is Veterans No Boundaries, an very generous organization that provides veterans and active duty personnel with disabilities (and their family as well) summer and winter adaptive sports activities, free of charge. One of the program's founders is a previous co-worker and the mother of a previous student, which is obviously, pretty awesome! All in all, I enjoyed this race quite a bit. Even if I did go into it in a grumpy mood. I have always thought this was a pretty nice race with a great course. I just never liked the wind. But that cannot be controlled at all. Then adding in doing the 14.1 Airport Challenge was a pretty cool new challenge for myself! What races have you done lately? What's coming up on your calendar?